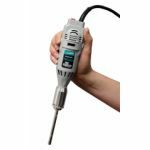 The BeadBlaster™ 24 completely lyses, grinds and homogenizes a broad variety of biological samples. 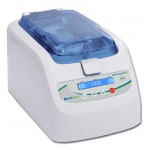 Even the most difficult and resistant samples are fully homogenized, often in 35 seconds or less. The BeadBugs™ are high energy benchtop homogenizers that set the performance standard for personal sized cell disruption and lysis instruments. Simultaneous homogenization of up to 6 samples takes place (often within 45 seconds) inside the disposable 2ml screw cap microtubes. The optimized mixing motion causes rapid cell disruption through constant high velocity impact from the hardened micro-beads chosen specifically for your sample type. The PRO250 homogenizer is a powerful, versatile homogenizer ideal for a wide range of lab applications, including but not limited to compounding, emulsions and suspensions, cell disruption, protein extraction medical research or pharmaceutical processing. The Bio-Gen PRO200 homogenizer unit is ideal for using either type of Multi-Gen generator probes for low-cost repeat homogenization without the risk of cross contamination.